Over her long career, clay artist, Suki has developed a her style known by its colorful, charming, decorative, yet practical design. The influence of her painting and figure drawing skill is evident in both her pottery and sculpture. Working in traditional majolica technique, color stains on a white background, Suki paints each piece in clear colors with stylized animals, people or designs. Many of her pieces are sculptural. All reflect her joyful observations of the world at large. 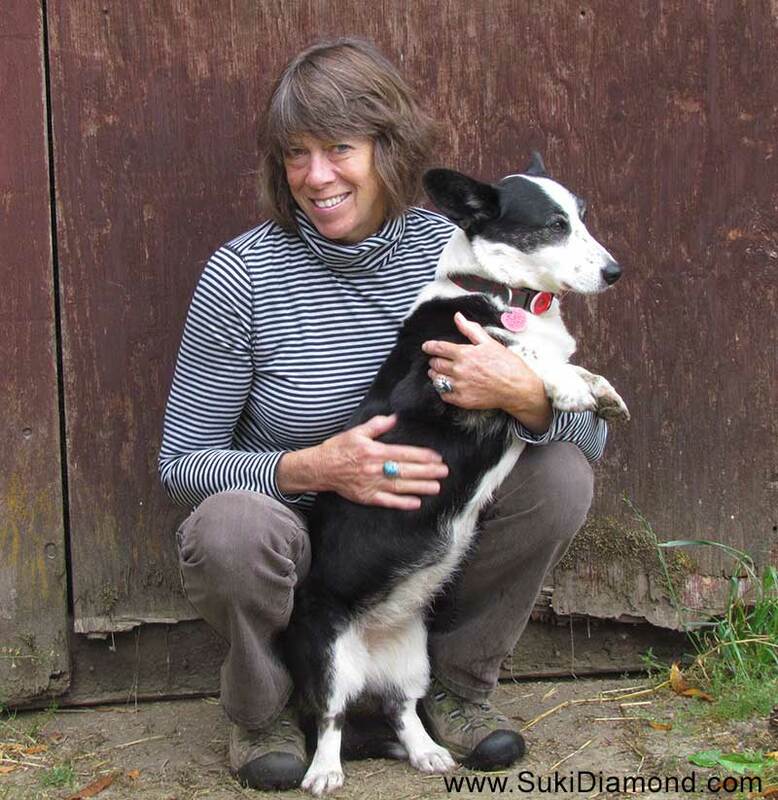 Suki has been a college instructor, and gives workshops in her studio. Classes are announced on the Events Page when available. "Growing up in a home filled with antiques, and the wonderful pieces Dad picked up in Burma and India, colored and enriched my daily life. I was obsessed with making anything and everything out of any artistic medium I could, and being outdoors. Early on I discovered the joy of working with clay. When I painted my illustrations on clay my career took off. I make both table top dishes and garden sculpture and enjoy working with clients. People tell me how much their day shines more brightly when they use my cups and bowls that have charming twinkly animals painted on them!" Open Studios are a great time to meet Suki and buy her art.